Join us in celebrating the sixth annual Street Soccer day! Street Soccer day will take place on Wednesday Sept. 5, 2018 during Fun Week. can be as organized or unorganized as the club desires. Clubs can even set it up to be a Play Day as envisioned by Vince Ganzberg, former Technical Director for Indiana Soccer. Another way could be to simply encourage coaches to step aside at training sessions that day and let the players take charge. Regardless of how the club sets up the day, the idea is to give the game back to the players. Part of the thrill for the players is in knowing that other players just like them, all across the country, are having a game just like theirs. Lou Mignone, Director of Coaching and Player Development at West Orange United FC in New Jersey, discusses the club's Street Soccer Day. "The players and parents at our club enjoyed another Street Soccer Day. Team training sessions at West Orange United FC are regularly scheduled for either Monday and Wednesday evenings or Tuesday and Thursday evenings. 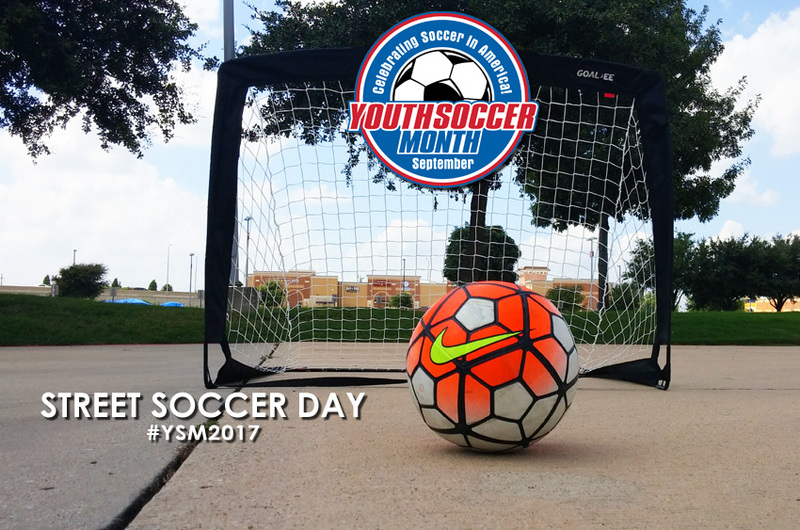 We made a club-wide effort this year to include all of the players in the festive event of US Youth Soccer and therefore extended Street Soccer Day to include Wednesday, September 6 and Thursday, September 7. The coaching staff enthusiastically looked to encourage and empower players to organize their own games and this included making teams, arranging the field and goals (small without or large with keepers), organizing positioning, deciding upon restart methods (throw-ins, pass-ins, dribble-ins, corner kicks / no corner kicks, etc. ), and enforcing rules." "Coaches did not distribute pinnies / scrimmage vests with the intention of facilitating conditions aimed at promoting heightened levels of awareness of one’s surroundings. The uninterrupted deliberate play of Street Soccer Day offers to the players the glowing benefit of increased exposure to soccer actions within a realistic game-like environment. Players experience meaningful repetition of the process that involves observing, recognizing, thinking, deciding, executing, and evaluating. The staff refrained from coaching interventions with respect for the flow and commitment to returning the game to its rightful owners –the players! Did I forget to mention that the players had ample amounts of enjoyment and echoed at the end of each session; 'Oh no! It’s over already?'"